One Year Anniversary of Fallen Leon County Sheriff’s Deputy Christopher Smith; Did Florida’s Governor and Attorney General Ignore Warnings Leading Up to the Ambush of Deputies? Tallahassee, FL—As Thanksgiving Day and Christmas Day approaches, two children are without their dad and a wife is without her husband. Many relatives, friends, associates and co-workers—especially Leon County Sheriff’s Deputies—will try to do all that they can to fill the significant void that Mr. Christopher Smith’s family struggle with every day. The reality most widowers left to raise children without their dad will agree—the lost of a dad and husband is a void that cannot be filled. As the majority of the United States strives to reform its Criminal Justice System, many political leaders, ethical judges and ethical defense attorneys are calling out prosecutors who engage in prosecutorial misconduct and their close relationships with local judges and law enforcement officials who conduct themselves unlawfully. In the year 2014, a record number of prison inmates were exonerated due to exculpatory evidence having been withheld by prosecutors during their criminal trial. Who is policing the police? Who is policing the local judges and prosecutors and the unethical defense attorneys and law enforcement officials? According to reports, through a Freedom of Information Act request by ABC7 News I-Team of Chicago, Illinois, after obtaining the personnel records of Fox Lake Police Lieutenant Joe Gliniewicz, the details uncovered about Lt. Gliniewicz revealed that there were official letters of complaints filed against Lt. Gliniewicz. The Fox Lake Explorers, a community education program, led by Lt. Gliniewicz was undergoing an audit prior to Lt. Gliniewicz suicide. Lt. Gliniewicz had stolen $50,000 from the program. Lt. Gliniewicz wanted to put a “Hit” out on a female administrator to prevent his criminal acts from being discovered. Fortunately, for that female administrator, Lt. Gliniewicz committed suicide. Currently, Lt. Gliniewicz’s wife and one of their four sons are being investigated in regards to Lt. Gliniewicz’s crimes. Two of the many questions that has yet to be answered is did officials ignore warning signs that could have possibly saved Lt. Gliniewicz’s life? Officials received several complaints about Lt. Gliniewicz. What happened? Lt. Gliniewicz may not have been an upstanding cop, but Lt. Gliniewicz did not commit the many criminal acts all at once. Did officials ignore warning signs? Between December 2011 and October 2013, Florida Governor Rick Scott and Florida Attorney General Pam Bondi received several letters in regards to several occurrences of misconduct at the Leon County Sheriff’s Office in Tallahassee. An Ethics Complaint was filed against Leon County Sheriff Larry Campbell, and a complaint filed with the Florida Department of Law Enforcement went nowhere. Leon County Sheriff Larry Campbell and Sheriff Larry Campbell’s son, Assistant State Attorney Jack Campbell, along with State Attorney Willie Meggs and Donald Odham botched criminal cases—by allowing Donald Odham to act as a Leon County Sheriff’s Detective. Although emails and letters to the governor and attorney general did not cover all of the acts of misconduct (unlawful acts) being committed, clearly, there were warning signs in place that raised more than enough concern. Donald Odham was NEVER an employee with the Leon County Sheriff’s Office. Yet, and still, Sheriff Larry Campbell, Assistant State Attorney Jack Campbell, along with State Attorney Willie Meggs and Chief Assistant State Attorney Georgia Cappleman presented Donald Odham to a Grand Jury as “Leon County Sheriff’s Detective Don Odham” in order to obtain an indictment against 17-year-old, DeShon Thomas. Furthermore, notarized documents filed in the Leon County Clerk of Courts are signed “Leon County Detective Don Odham” and “Detective Don Odham.” Sheriff Larry Campbell allowing his friend, Donald Odham to act as a Leon County Sheriff’s Detective—conducting all responsibilities of an Interrogator, a Homicide Detective, a Crime Scene Detective, a Violent Crimes Detective and Lead Detective (just to name a few titles held by Don Odham) was a sure sign that Leon County Sheriff Larry Campbell exercised poor judgment—abused his power and engaged in unlawful acts. Leon County Sheriff Larry Campbell was allowing Don Odham to impersonate a law enforcement officer. Leon County Sheriff Larry Campbell betrayed the trust of the community that he’d sworn to protect. According to reports, on November 22, 2014, forty-seven-year-old, Leon County Sheriff’s Deputy Chris Smith was killed in an ambush on the northwest side of Tallahassee. Leon County Deputy Colin Wulfekuhl was wounded in the ambush. In spite of Leon County Sheriff’s Sergeant Wiley Meggs claiming to have “Red Flagged” the address of that where Deputy Smith and Deputy Wulfekuhl were ambushed, clearly that “Red Flagged” address was NEVER communicated to neither Deputy Smith nor Deputy Wulfekuhl. When Deputy Smith and Deputy Wulfekuhl responded to a call to the address, the gunman may have immediately had Deputy Smith in the crosshairs of his gunfire—seeing the deputies as easy targets. Leon County Sheriff’s Sgt. Wiley Meggs, the son of State Attorney Willie Meggs, seemed to have blamed the dispatch service for the failure to communicate the “danger zone” to Deputy Smith and Deputy Wulfekuhl. Most others within the Leon County Sheriff’s Office also blamed the failure of communication on the dispatch service. Many Tallahassee citizens are used to the incompetence of the sons of Sheriff Larry Campbell and State Attorney Willie Meggs being glossed over to the point where everyone made mistakes but them. Their jobs were secure—and it was every ones responsibility to ensure it—no matter what. 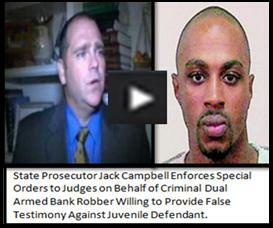 Whether it was a wrongful conviction due to Assistant Jack Campbell’s withholding of evidence, or Sgt. Wiley Meggs’ irreversible mistake that may have played a key role in the loss of life of fellow Leon County Sheriff’s Deputy Chris Smith. Again, many citizens of Tallahassee know that the media and local political leaders will find a way to gloss the most disgusting acts committed by the Campbell/Meggs Klan. Leon County Sheriff Larry Campbell and State Attorney Willie Meggs have held the citizens of Tallahassee under “Dictatorship Rule” for decades. Some of the local news media outlets play to the tune of “Campbell/Meggs” without missing a single note. For instance, Deputy Chris Smith and Deputy Colin Wulfekuhl were ambushed during the mid-morning hours on November 22, 2014. It took more than 24 hours for Leon County Sheriff Larry Campbell to speak to the community. No one in the community had heard or seen Sheriff Campbell in over 24 hours after the ambush. When Leon County Sheriff Larry Campbell finally appeared for a press conference to address the ambush, Sheriff Campbell looked disoriented and did not speak much—leaving nearly all of the speaking to another deputy. And when Sheriff Campbell did speak, Sheriff Campbell’s speech was slurred. Although everyone knew that Sheriff Campbell had been battling cancer for many years, to address the media and the community in the way in that he did about the murder of one of his own deputies in the line of duty was a complete disgrace. Many people who have battled cancer or who have watched their loved ones battle cancer are fully aware that cancer medications are very strong and debilitating to the mind and body. Sheriff Larry Campbell and his son, Assistant State Attorney Jack Campbell, along with many others close to the Campbell family and within the Leon County Sheriff’s Office knew for some time before the ambush of the deputies that Sheriff Campbell was unfit to be sheriff. Nobody within the Leon County Sheriff’s Office held a press conference to address the community or to formerly address their own “Fallen Cop.” The delay with the Leon County Sheriff’s Office addressing the community showed that Sheriff Larry Campbell, despite his significant illness, was still in charge—no matter how incompetent his decision making compromised the safety of his deputies and the citizens of Tallahassee. The Leon County Sheriff’s Office was being operated under such extreme incompetence—that the gun man who’d shot and killed Deputy Smith and wounded Deputy Wulfekuhl was described (after the fact) as an anti-government citizen. But that was indeed, “After” the “Ambush.” Leon County Sheriff Larry Campbell and State Attorney Willie Meggs have long been described as operating a “Good Ol’ Boys Network” and needing to put their “Arrogance” and “Toughness” on display for all to see. On November 23, 2014, the day after Leon County Sheriff’s Deputy Chris Smith’s murder, State Attorney Willie Meggs did not appear in any camera lens at Leon County Sheriff Larry Campbell’s press conference. However, State Attorney Willie Meggs’ protégé, Assistant State Attorney Jack Campbell was present. Under the direction of a member of the Leon County Sheriff’s Deputy, Jack Campbell was told where to stand and when to speak. For nearly fifty years, Leon County Sheriff Larry Campbell loved to gloat about how much of a “Tough Guy” he was—going as far as to extending a shooting challenge to former sheriff’s candidates running against him in the 2012. On November 23, 2014, Leon County Sheriff Larry Campbell’s address regarding the murder of Leon County Sheriff’s Deputy Christopher Smith was weak. Sheriff Campbell looked as if someone had dressed him in his uniform and prepped him for the press conference. As a clear confirmation to show how some of Tallahassee’s news media outlets are so used to playing to “Campbell and Meggs’” tune, not one news reporter ask Leon County Sheriff Larry Campbell why it took him over 24 hours to address the community about the ambush of his own deputies, and the attempted ambush of many of Tallahassee’s first responders. And just to take it a step further, no one asked Sheriff Campbell about his obvious unhealthy appearance and his slurred speech. And more importantly, no one asked Sheriff Campbell about how his failure to protect his own deputies due to the possibility of something as simple as a failure to communicate a “danger zone” by Sgt. Wiley Meggs, could affect the safety of Tallahassee citizens. A week after the ambush of the deputies, three emergency dispatchers were fired. No one wished to accept that Sergeant Wiley Meggs’ failure to effectively communicate played a role in the murder of Leon County Sheriff’s Deputy Chris Smith and the wounding of Deputy Colin Wulfekuhl. The press conference in regards to the ambush of Deputy Chris Smith and Deputy Colin Wulfekuhl was Leon County Sheriff Larry Campbell’s last press conference of his career. A month and one day later, the news media announced that Leon County Sheriff Larry Campbell succumbed to cancer. Governor Scott appointed Leon County Sheriff’s Captain Robert Swearingen as Interim Sheriff. Governor Scott’s appointment of Leon County Sheriff’s Captain Robert Swearingen caused even more confusion within the Leon County Sheriff’s Office. Apparently, Captain Robert Swearingen was not Sheriff Campbell’s choice to “rule” upon his death. Governor Scott quickly named another Leon County Sheriff’s interim—one that would have pleased Sheriff Campbell. For more than two years, Governor Scott and Attorney General Bondi were being warned about incompetence and misconduct within the Leon County Sheriff’s Office. Had those warnings been properly addressed—then just maybe Leon County Sheriff’s Deputy Christopher Smith would be alive today to enjoy being with his wife and children. Governor Scott and Attorney General Bondi’s continued failure to properly address warnings of incompetence and misconduct of a law enforcement agency does not make the lives of law enforcement officials and other Floridians safe. Fox Lake Lieutenant Charles Joseph Gliniewicz and Leon County Sheriff’s Deputy Christopher Smith left completely different marks within the law enforcement agencies of that which they served. However, no one can truthfully deny that their lives and careers could have been saved. So, this holiday season, as Governor Scott, Attorney General Bondi and others within the Leon County Sheriff’s office and State Attorney Willie Meggs’ office enjoy their loved ones, Deputy Chris Smith’s wife and children are without their most loved husband and father. And for years to come, they may spend every November 22nd trying to try to make sense out of the senseless. Author MAUL10Posted on November 22, 2015 November 22, 2015 Leave a comment on One Year Anniversary of Fallen Leon County Sheriff’s Deputy Christopher Smith; Did Florida’s Governor and Attorney General Ignore Warnings Leading Up to the Ambush of Deputies?